About: I am a “Advanced Coach” PGA Professional based at The Lakes Golf Club. I have been a member at Royal Canberra since I was a junior. My favourite part about playing golf, is making putts from everywhere. My aim in life is to be good at what I am passionate about. Nothing comes easy, you have to work hard for what you want. What do you believe has been the biggest change in the industry in your time as a PGA Member? The biggest change other than technology has been the interaction between the PGA and the Professionals. More money has been put into events and the educational system has expanded. 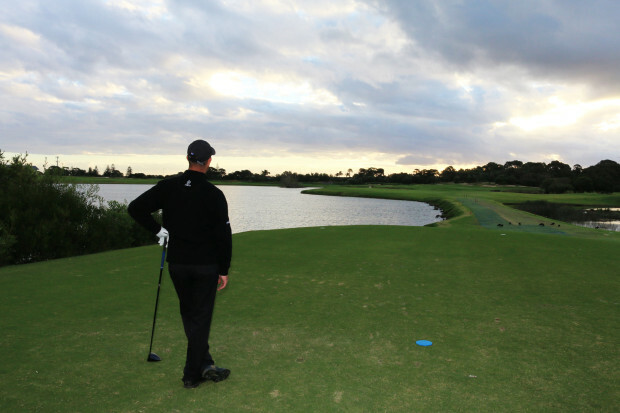 If you were to offer one piece of advice to a PGA Trainee, what would it be? If I were to offer one piece of advice to a PGA Trainee, it would have to be, manage your time well and work hard for the three years. Who is your role model and why? My role models would have to be my parents. They have been able to achieve so much in their life simply from working hard and helping people in the community, without hesitation. This is a rare quality to see in people. What has been the biggest highlight of your career and why? There have been several highlights that are hard to separate. Firstly, playing in the Australian Masters was a big moment in my career. I may not have had the best opening round, but to come back on the second day and do my best was a memorable moment to me. Secondly, being nominated as ACT/NSW Coach of the Year in my first year as a full time coach, was something special, but to actually be awarded NSW/ACT Teaching Professional of the Year was an amazing and special honour. Finally, the day I sunk the final putt to pass my Traineeship and be recognised as a full PGA Member. That will always stay with me. What do you enjoy about your role as a Club Professional/ Coach/ Player? I enjoy the challenges of teaching golfers at all levels of the game. It is always nice to see them improve and enjoy their golf more than before. I enjoy travelling to various tournaments around the world and experiencing what each place has to offer. I enjoy the interaction that I have with the members at the golf club. You always learn something new. If you could change one thing in the golf industry what would it be? I do not think that I would change much about how things are going in the golf industry, but I would encourage more players to respect themselves and the PGA brand once they have entered the PGA ranks.